“Going into this election we felt confident that all of our work and planning would lead us to victory. The outcome has been overwhelming, and our success is not only unprecedented, but historic. I am proud to be part of history today. Our victories will change our political landscape for years to come. “I offer my heartfelt thanks to all of our Republican candidates, up and down the ticket, regardless of whether they prevailed, for stepping forward and offering public service in a very challenging time. It takes commitment, courage, stamina and public spirit to stand up for what you believe in and to run the gauntlet of campaigning for office. “We congratulate President-Elect Trump on his stunning victory, and as he takes up the daunting responsibilities of office, we offer our prayers to him and his family. “We look forward to Congressman Poliquin representing Maine’s Second Congressional District for another term. We know that he will continue to work hard for Maine people in Washington D.C.
“We are delighted that Maine voters have reelected the Republican majority to the Maine Senate and added to our numbers in the Maine House of Representatives. “This is the first election since 1988 where Maine voters delivered an Electoral Vote to a Republican Presidential candidate. “This is the first election since 1992 where Maine voters returned a Republican member to the U.S. House of Representatives. “This is the first election since 1982 where Maine voters have reelected a Republican majority to a legislative chamber. 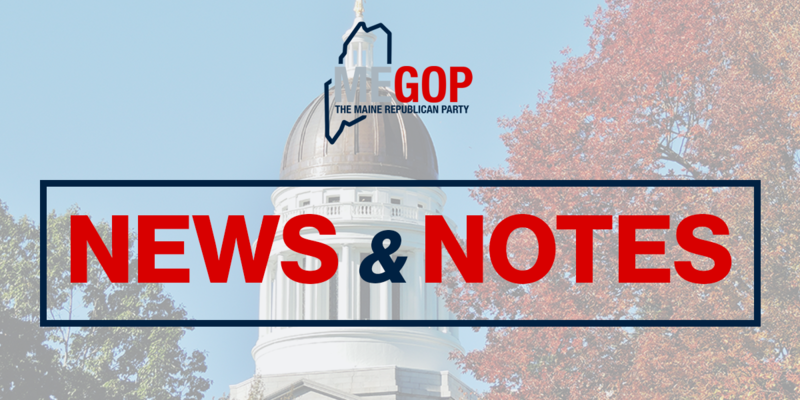 Not only will Republican leadership in the Maine Senate continue, but we have added Republican members to the Maine House in each of 2014, 2015, and 2016.